First day of the year 2015, Arlen and I took a walk from our house in San Isidro, Tagbilaran City, Bohol, to the city public market in Dao to exercise and at the same time buy the week’s provision of fish, vegetables and rootcrops. For quite a time, the road that connects Dao proper and Dao Lanao intersecting the national highway going to Corella has been closed to traffic. We have used this road before when it was still surfaced with asphalt. We knew that the other half of the road which leads to the city public market in Dao was almost completed that we wondered what took the project so long to be finished and opened for public use. So that we would have answers to our questions, we walked through the road. Apparently that portion near the national highway has not been touched yet, for one primary reason – there is a claimant of the property that has long been used as a public road. 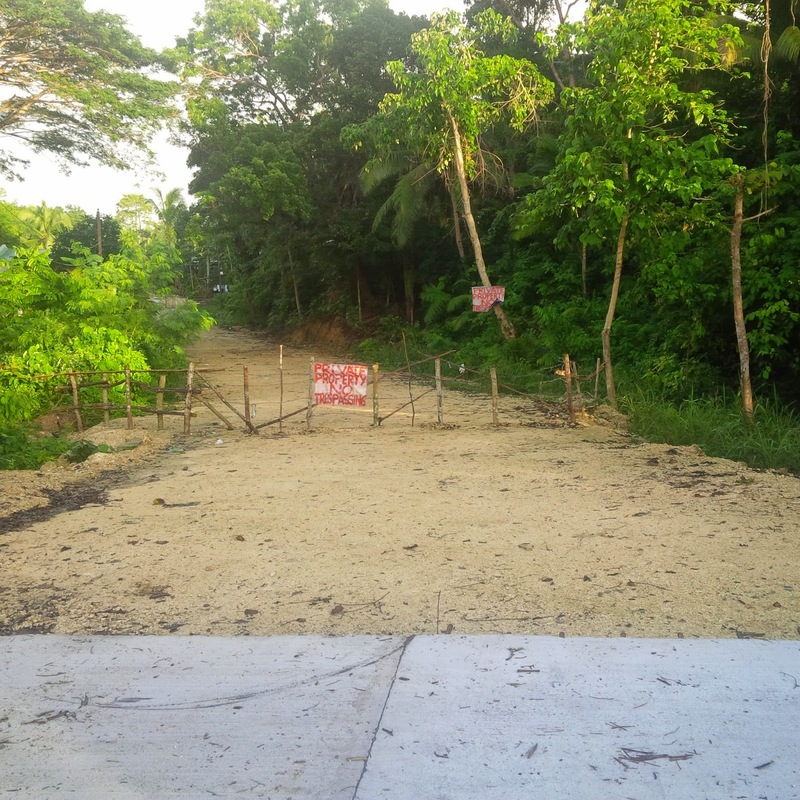 After a well concreted road section, probably completed for months already, a makeshift fence stood, indicating the words “private property”. We climbed the fence (and we were sure we would have been liable of trespassing) – at the same time that we realized the danger of the action we also realized that the road that has been used for years as public road is apparently, private property. It baffled me first why the private claim over the road only surfaced now that the road is being concreted and why not before when it was still asphalted. But it baffled me more why in the first place, the government proceeded with a road concreting project without resolving first the Road Right of Way (RROW) issue. I was trying to get the perspective of people that own the property to be able to get the full story, but unfortunately, I was not given meaningful response to write about here. I admit I also failed to get the name of the road project and who funds it. In the upcoming days I will get this information and update this post. I tried also "googling" for road information and whether local media has picked this news up. Unfortunately, or maybe I was not just persistent enough, there seems to be no "web presence" of this road project pictured above. The Department of Public Works and Highways (DPWH) policy dictates that all national government road infrastructure projects, either funded using government funds or entered through public-private partnership, must acquire ownership of the road right of way before the issuance of the Notice of Award defined in the IROW Manual. Right-of-way or ownership of the road right of way has been a long-standing problem and remains one of the hurdles in infrastructure development in the (Philippines) since there is no policy or guideline that (local officials) can use in the acquisition of road right of way except to negotiate for donation. While the (local engineers) can ably do so in securing donors, it is constrained to take further steps to formalize the acquisition through the appropriate legal route due to budgetary limitations. 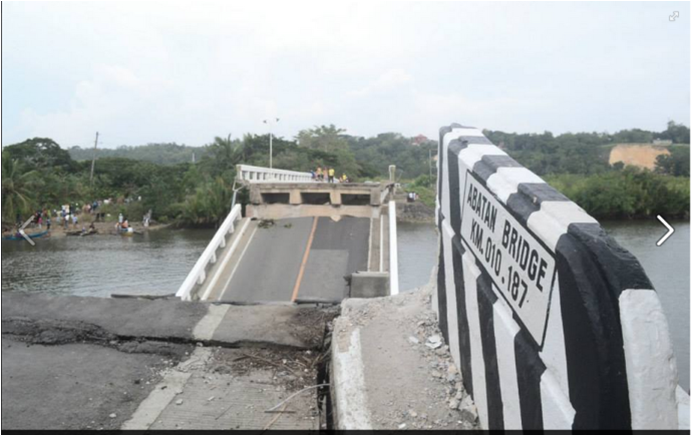 It seemed that Bohol is suffering the same fate and this is why the road has become a concrete road to nowhere. For those with information on this road project, will you please let us know where this will lead to? These are manifestation of poor planning process.